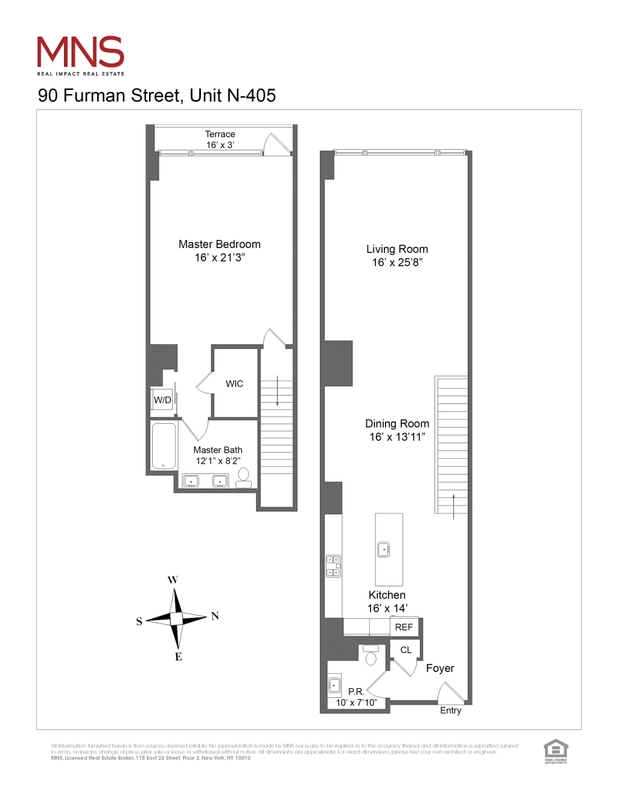 90 Furman Street, #N-405, Brooklyn, NY, New York 11201. *The seller is offering a concession of 6 months Common Charges and Taxes to be paid at closing*. If you're looking for luxury, elegance and the best that money can buy, look no further than Pierhouse. You have arrived. 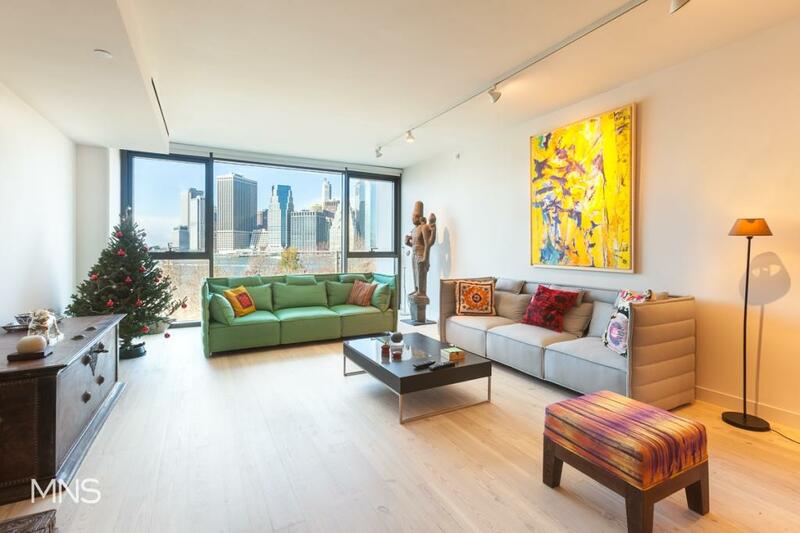 Stunning, townhome-style condominium in Brooklyn Bridge Park's Pierhouse offers the epitome of sophisticated city living. Built in 2015, Pierhouse features 108 impeccably appointed residences set in a beautifully landscaped waterfront park sprawling over 85 acres of lush open space. This sustainable, one bedroom, 1,525 sq. ft. duplex boasts film-worthy views - on both floors captured through floor-to-ceiling windows - of New York's iconic landmarks, including Lower Manhattan, the Statue of Liberty and the Brooklyn Bridge. This lavish residence features an expansive, open living area on the first floor and an equally spacious master suite, with walk-in closet, on the lower level leading to a 16' x 3' outdoor terrace offering city and river views. 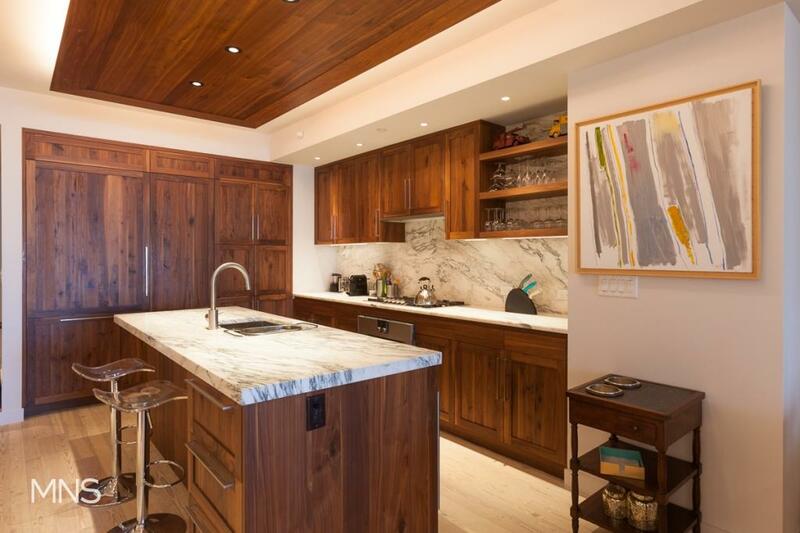 The showpiece, gourmet kitchen features solid American walnut cabinetry and striking overhead lighting centerpiece. State-of-the-art appliances hand selected from the Gaggenau kitchen design collection. Exquisite Honed Calcutta Tucci white and gray marble countertops and backsplash accentuate the deep walnut cabinets, refrigerator, and center-of-the-kitchen breakfast bar and sink. Under-counter area stores up to 18 bottles of your finest wines. 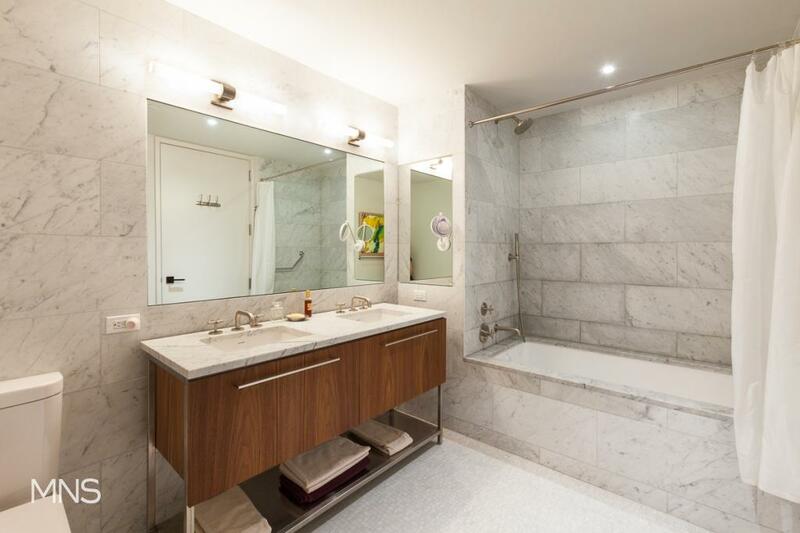 Encased in white marble from floor to ceiling, the bathrooms feature Honed Statuarietto marble countertop and a walnut and brushed nickel vanity complete with two Duravit sinks. Marble tub and shower perfectly complement the Ruscello Fosso Picollo marble tile flooring. 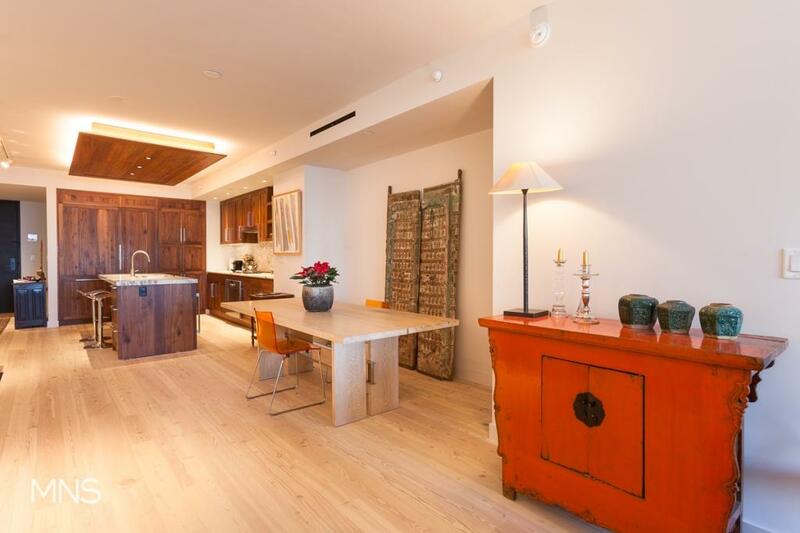 This unit also features reclaimed heartwood pine flooring throughout, high-efficiency interior and exterior LED lighting and a Bosch washer and condescension dryer. As a Pierhouse resident, you will enjoy access to the building's 24-hour concierge, multiple state-of-the-art fitness centers, meditation and stretching studio, lounge, children's playroom, on-site valet parking, pet wash, refrigerated storage and bicycle storage - not to mention privileged access to adjoining eco-luxe 1 Hotel's amenities, including the enchanting rooftop swimming pool and bar with the most romantic of city views. 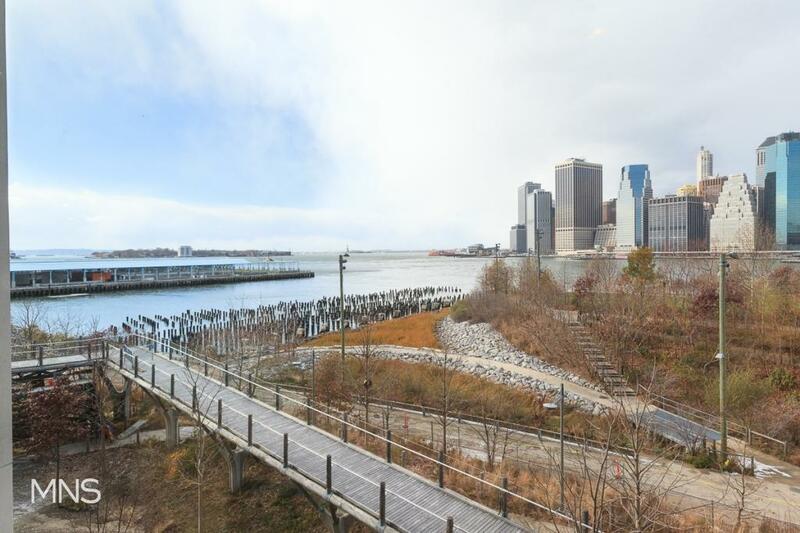 Pierhouse, renowned as the first newly constructed 'green' residence in Brooklyn's oasis waterfront park, is located in historic Brooklyn Heights. 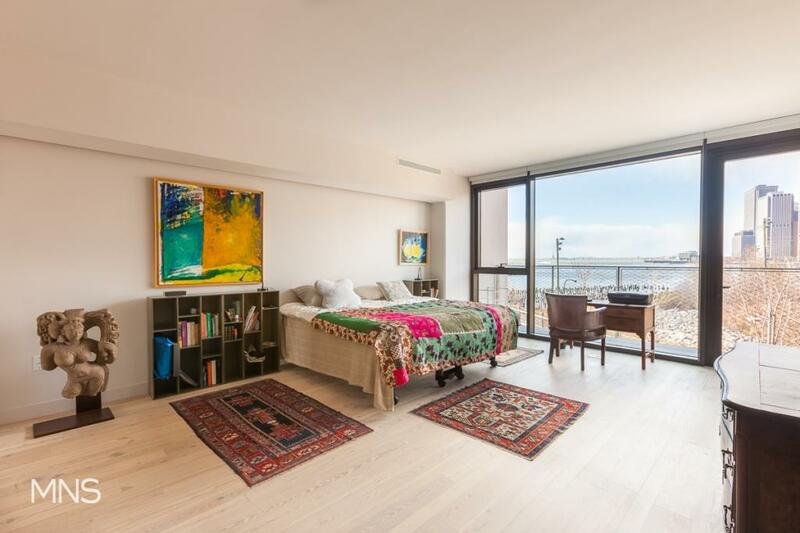 Its ideal location allows for ample transportation options and easy access to Wall Street, Midtown Manhattan, and Brooklyn from the East River Ferry and New York City subway systems.